Muslim Women's Network UK has received serious safeguarding concerns about Salma Foodbank. Given the nature of allegations, the scale of the foodbank's operations and the number of individuals, third sector organisations and front line professionals that appear to be recommending vulnerable clients to Salma Foodbank, we feel it is the duty of Muslim Women's Network UK to publicly share the letter that we have written detailing the allegations to Mr. Imran Hameed of Salma Foodbank. Please let us know or the West Midlands Police know if you would also like to report any concerns. We appreciate the allegations are not yet proven and hope that Salma Foodbank will assist us and the police to come to a conclusion in respect of these concerns. We will provide updates as and when further information is provided. 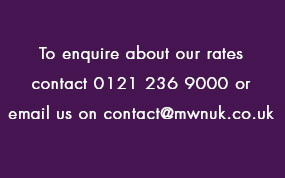 You can email us on contact@mwnuk.co.uk or call 0121 236 9000. 20/11/18 (20.55) - We have received an initial response from Mr Hameed who states that he cannot see any referrals made to Salma Foodbank by MWNUK and will be seeking legal advice. We will provide any further updates as and when it is received. "Every allegation you have stated is untrue and fabricated, we cannot go into detail with you of any facts or share evidence with you, under the data protection act, as you do not state the person's name making the claim. We take health and safety and food hygiene seriously, we hold food handling certificates and adhere to EU laws on food distribution and storage, in fact we have a three stage process where foods are examined for best before dates. To raise awareness of food poverty in our local communities we ask beneficiaries to share their experiences on camera that we can share, we gather prior permission. The choice of making a video with us does not affect the outcome of the assessment at all "
Mr Hameed then states that he will be making complaints to MWNUK's board, the Charity Commission and our funders and also mentions that he invites any inquiry from the police or Environmental Health. Thank you for your email below which we take to be your full and final response to our detailed six page letter dated 20th November 2018. Admittedly we are quite surprised by your very short response as we presumed from your emails of 20th and 21st November 2018 that we would be provided with detailed information and/or explanations which would allay our concerns. Quite frankly, we are not entirely sure why it has taken over a week to provide this response as surely this could have been stated a week ago? We note your reliance upon the Data Protection Act 1998 on the basis that we have not disclosed our service user's name. You may be aware that the General Data Protection Regulations came into force earlier this year and our reasons for not disclosing our service user's personal details in writing is based on the same data protection principles you seek to reply upon as well as, most importantly, our concerns over our service user's safety. Irrespective of this however, given we have only ever referred one service user to you (and this service user informed you that MWNUK are assisting in their case � a particular traumatic case at that which cannot be forgotten), we would have presumed that it was quite obvious who we are referring to? Can you please clarify why, despite the scale at which you allegedly operate (according to media reports) you appear to have opted to work outside a formal structure? This seems to be despite the fact that you are a company director of a formally registered company and therefore following a formal structure would not in our opinion be alien to you. Do you have any formal structures, policies and/or guiding principles in place, such as a governing committee? If not, why not? How are your volunteers selected? What safeguarding training do your volunteers receive? In fact, can you please clarify what training they receive in general? What processes do you have in place for the safety and welfare of your volunteers? Do your volunteers attend the properties of beneficiaries on their own? If yes, how do you ensure their safety? If no, what policies and procedures are followed? We note your response that we always try our level best to make sure a male and female volunteer attend vulnerable adults'; what exactly is the procedure involved? How do you assess vulnerable adults'? What happens if you cannot send one male and one female volunteer? How did you come to the decision that one male and one female is the best combination? Have you considered that sometimes the most appropriate combination may be two female volunteers? Can you please clarify if Salma Foodbank' and Bearded Broz' operate as one group/initiative or separate? If the latter, how do you ensure such separation? We note that both Salma Foodbank and Bearded Broz are part of the Pathfinder Group'; are we to interpret this as both Salma Foodbank' and Bearded Broz' being a part of (as subsidiaries or otherwise) of Pathfinder Technologies Limited? If yes, can you please clarify the policies and procedures in place in this respect? Leading on from the above, are the directors of Pathfinder Technologies Limited therefore responsible for Salma Foodbank' and Bearded Broz'? How is such governance managed? Do you accept or deny the allegation that you attended at least one beneficiary's property alone to drop off food supplies? Do you accept or deny the allegation that you went inside at least one beneficiary's property (alone) to drop off food supplies? Do you accept or deny the allegation that you (whether personally or on behalf of Salma Foodbank) have provided at least one beneficiary with cash donation(s)? We note your email response that Salma Foodbank does not collect any funding and only rely upon food donations but this does not clarify if you accept or deny the allegation that you personally made a cash donation to our service user and/or make cash donations generally. How often do your beneficiaries become volunteers of Salma Foodbank and/or Bearded Broz, if at all? aeAre you able to provide us with a figure of the number of beneficiaries who later became volunteers (whether or not they continue to be volunteers at present)? Please can you provide us with a copy of your communication policy with beneficiaries for review (you refer to this in your email)? What percentage of your beneficiaries agree to be filmed for social media purposes? What is the procedure involved? Do you ask them whether they are willing to be filled once you drop off the food donations or after a few days? How do you ensure that they are entirely comfortable to do so? Do you obtain written consent for the same? Do you inform them that they have the right to have the video removed at any time? Has Salma Foodbank been registered with the local authority and if so, can you please confirm what date and which local authority it has been registered with? Please can you provide further details of your three stage process'? What steps are taking? Who carries out the relevant checks? Are additional inspections carried out? Do you have a written policy that is referred to and if so, please can you provide us with a copy? Please can you provide more specific details in respect of your storage, processing and distribution procedure? How do you ensure that particular health sensitivities are taken into account? Providing a response to the above points does not, in our opinion, require you to know the details of our service user who has raised the complaint(s), nor are you restricted by the data protection regulations. We therefore hope that you will take this second opportunity to provide a response and clarify matters in respect of the concerns and/or allegations raised. Finally, we have made clear from the outset and reiterate again that we completely appreciate that the matters we raise are based on allegations, are dependent upon our service user's opinion of the situation and are not proven facts. We had hoped that you would understand that a responsible charity like ours, which works tirelessly to eradicate all forms of discrimination and abuse would feel obligated to raise our concerns with you and others (including the police and other potential service users and/or beneficiaries), especially in light of the global #metoo movement (which has highlighted how abuse is prevalent even in the not-for-profit sector), and had hoped you would cooperate and assist us in this regard. We are not attempting to become judge, jury and executioner' and never will as we are firm believers of the rule of law in the UK - but we do not think it is acceptable to be silent bystanders either in the face of potential harm being caused (though again we reiterate that we are not accusing you of the same, but rather raising the complaints that have been brought to our attention). According to media reports Salma Foodbank was set up in 2016 and before the end of 2017 you had provided food to over 7000 people; whilst this is of course very noble (we are not blind to the plight of many individuals and families due rising austerity and increasing cuts) but on the other hand that means that a very large number of potentially vulnerable individuals will be coming into contact with you and/or your volunteers on a daily basis. Thus taking this information into account and the serious nature of the allegations, we felt it was our duty to raise our concerns immediately. You will note that we have provided you with every opportunity to share with us any information to correct any inaccuracies in our understanding of what has happened and further, have consistently offered to make your responses available in the same manner as our letter. In fact we only shared our letter on our website after we were sure you had received our letter and also updated our website with details of your email response of 20th November 2018 immediately in the interests of being balanced and fair to you. 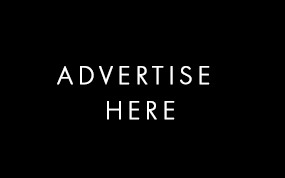 We are disappointed that you have not considered the context and the reasoning behind our decision to share our concerns; it does make us wonder whether you truly appreciate the seriousness of such cases of abuse that are coming to light each day across all sectors and which may have even affected some of your beneficiaries? 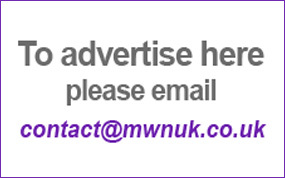 Complaints to our board can be made in writing and addressed to our Chair; these can be posted to our MWNUK registered office (54-57 Allison Street, Digbeth, B5 5TH or by email to: board@mwnuk.co.uk. In the interests of full disclosure, please do note that all decisions in respect of this matter were made by the board itself.